In a shocking incidence when the Squards from the Election Commission’s flying squad checked Naveen Patnaik and HD Kumaraswamy’s choppers were checked by Election Commission’s flying squad and scanned the luggage, whereas oppositions complained about there is no checking with the neither any BJP party members and officials and named opposition has accused the Centre of vendetta politics. As per the report published, the Country is to go for the second phase of polls on Thursday, which is less than 24 hours before the the Election Commission’s flying squad is swooping down on houses of political leaders, their vehicles and choppers, to check for unaccounted cash, allegedly being used by parties to bribe voters. 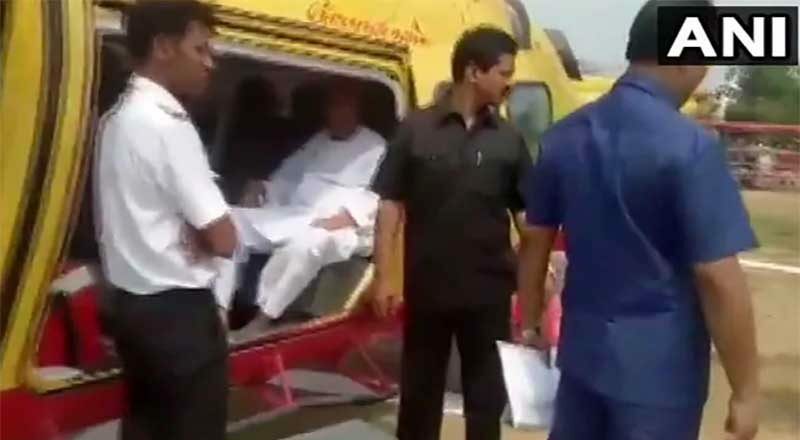 Choppers and cars of three senior politicians – Naveen Patnaik, HD Kumaraswamy and BS Yeddyurappa – were checked in the last 48 hours. Raids were also carried out overnight at DMK leader Kanimozhi’s house in Tamil Nadu’s Thoothukudi. The tax men had carried out raids at multiple locations in Bengaluru, Mysuru, Mandya,Ramanagara, Shivamogga and Hassan, triggering strong reaction from Mr.Kumaraswamy and Congress leaders in Karnataka, who accused the Centre of vendetta politics. Earlier, the tax department had seized Rs. 1.66 crore in cash during raids conducted across Karnataka. On March 28, a total of 24 premises were searched by the I-T department.